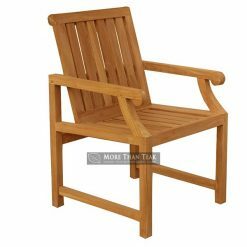 ​Our new product of Carina arm chair comes with armrest that can make you enjoy a relaxed atmosphere in your garden. 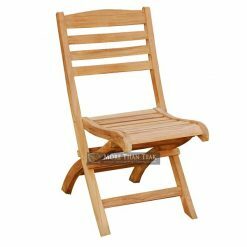 This unique and simple design is presented to you who like the practical furniture but strong and durable. This furniture is very attractive to many people from domestic and abroad. 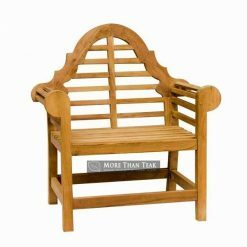 Can be used to enhance and beautify your garden and outdoor patio. 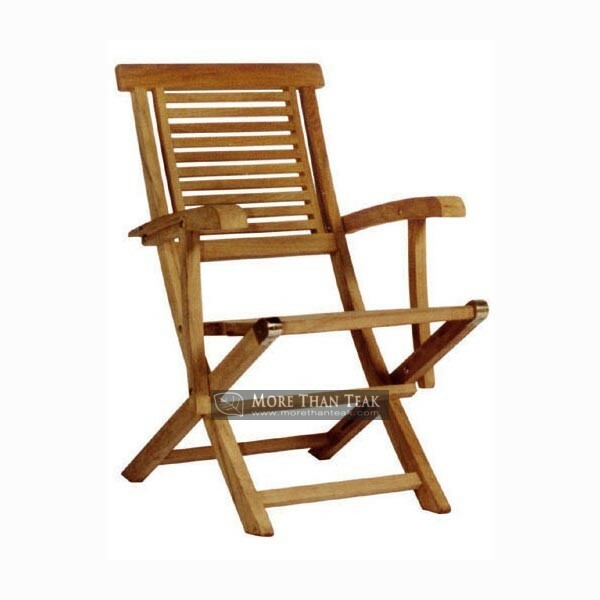 Suitable to combine with landscape garden and grass in your home. 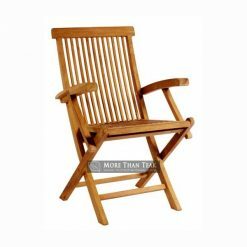 Teak wood materials we use are the best because we select from Indonesia’s forests are rich in high-quality wood. 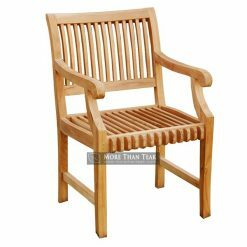 And the best teakwood is one of a kind. 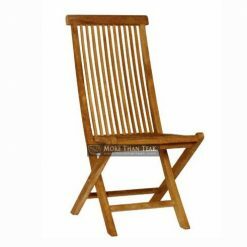 This teakwood is great for all weather condition, as we always work professionally to process the raw materials and then apply the design in detail and careful handling. 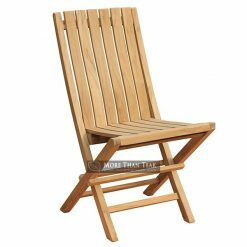 Perfect for your outdoor decoration and matching with teakwood table for garden, do not miss this product we made special for your home. 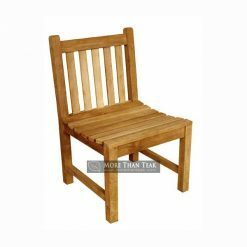 We guarantee you get the best qualified products of teakwood furniture from Indonesia and we will give the best customer service for your satisfaction. We have lots of experience to receive and complete special order from domestic market and abroad.